With the SAFARI Montage® Learning Object Repository, system and network administrators can control the storage, delivery, access and Digital Rights Management (DRM) of all of their digital media on the network from within SAFARI Montage admin tools. NEW 6.2 Administrators can easily identify Storage Space Available on SAFARI Montage content drives and monitor the storage space used by Existing Learning Object Repository Media. Improved Automated User Merging and School Migration to reduce duplicate account issues. System Administrators can now run usage reports capturing total playlist plays by month, school, playlist, object name, media type and user. Permits SAFARI Montage Technical Support to remotely access local servers for troubleshooting and repair when necessary. Monitor live, accurate bandwidth consumption, and restrict bandwidth usage as needed. Schedule back up of system and settings, along with user-created data and media, to any network destination. Increase system performance by caching results. Playlists and Content Pending Approval enable appointed Approvers to preview both before distributing; protecting the district from copyright infringement and enabling the Admins with to manage digital media licenses. Allows administrators to manage multiple LDAP groups and multiple LDAP servers. SAFARI Montage® servers check nightly for any content updates that a server may require, and download updates according to the schedule configured by the System Admin. Centrally manage all school preferences, settings, licenses and access to content. View a snapshot of server uptime, plus observe server load in real time and average server utilization by time of day. 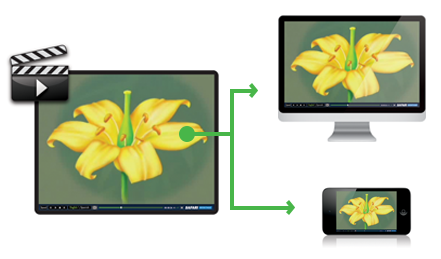 NEW 7.3 Adaptive Bitrate (ABR) settings provide optimal effiiciency for video playback. ABR pre-packaged content is supported in Superset 38 drives, and for new uploads beginning with Version 7.3.